You can print out the flat numbered cups and try them out for free. I used miniature tongs to pick up the miniature marshmallows. This activity is simple hot cocoa mugs with numbers on them to count out the correct number of mini marshmallows. 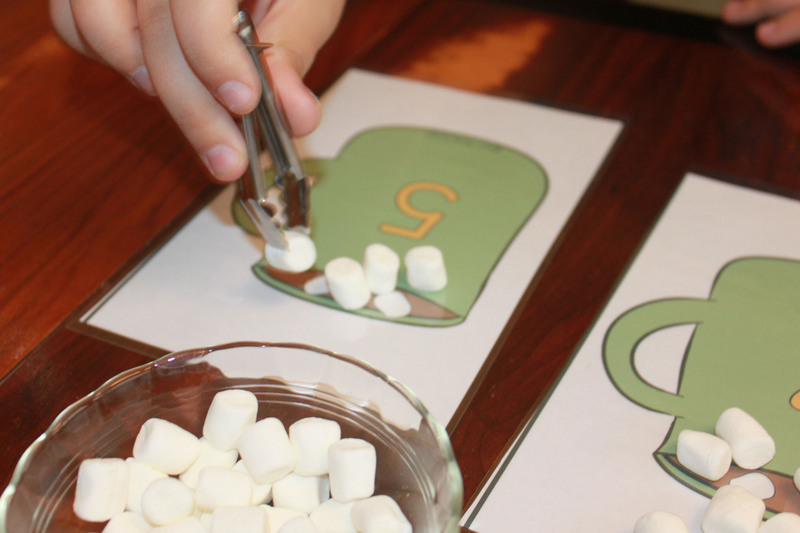 You can also clip a picture of the right number of marshmallows onto the mug.